Summer Salad Season! 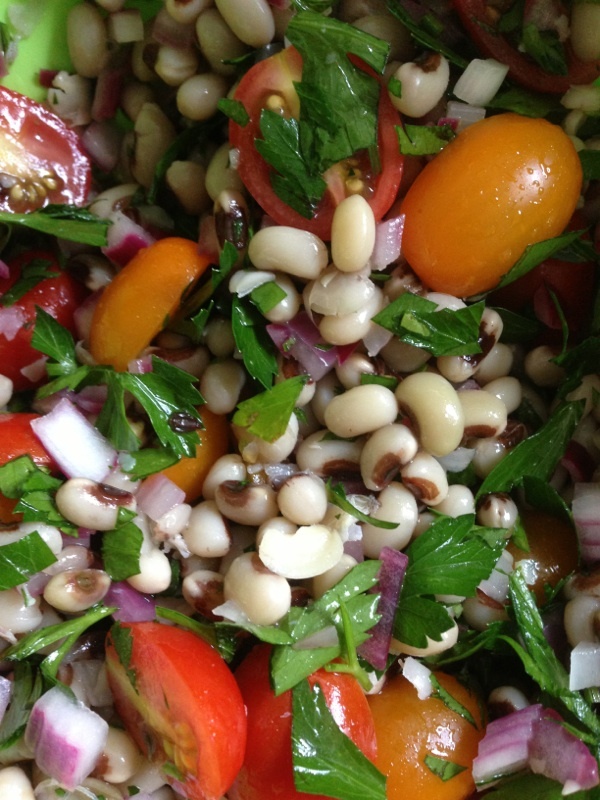 Black-eyed Pea Salad! I made this for a brunch I hosted a few months back that had both a Southern American theme (not South American) and was completely vegan. I promised my friend Shelly I would send her the recipe and I am finally getting around to posting it! Feel free to use canned or dried black-eyed peas here, if you like, but I’ve found the frozen variety to be the easiest in terms of prep (no soaking!) 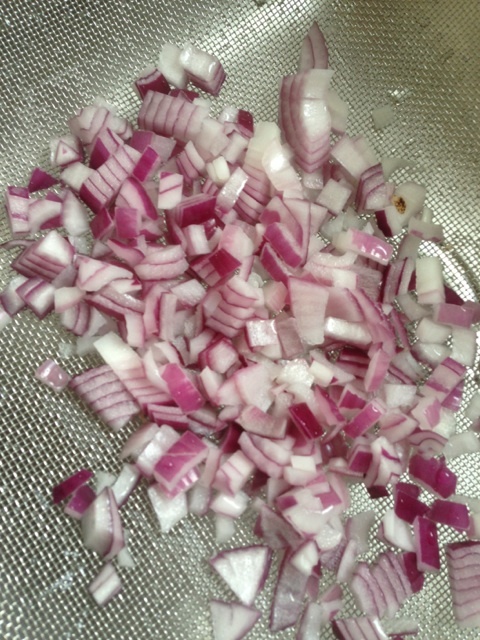 and the best in terms of texture (never mushy or mealy). As with all of my recipes, this one will inevitably benefit from your own customizations. Try to make the dice as close to the size of the peas as you can. Place the onion in a fine mesh sieve and pour over 1 kettleful of boiling water; this will cut the rawness out of the onion, which otherwise overpowers the dish (in my humble opinion). Once the peas are ready, rinse them thoroughly with cold water and drain completely, then mix together with the other ingredients in the bowl. To dress, you can use your favorite Italian dressing to taste, or go even simpler with salt, pepper, olive oil, and red wine vinegar to your liking. Ideally, you’ll let this sit for a few hours before serving, but it’s all good if you can’t – with good quality ingredients, it will taste great either way!